A special education program's aim is teaching appropriate behavior, not punishment. Special education programs provide vital assistance for many students within the educational environment. The strength of these programs is that they facilitate special education students' academic and behavioral development. Additionally, they serve as a training ground for students to learn how to appropriately act, interact and react in social situations. However, there are some weaknesses that can be associated with the well-intentioned efforts of special education programs. Students might rely too much on the tolerance of unacceptable behavior or assistance from others instead of working to complete assignments on their own. Special education students need special assistance and a plan that will help them become successful academically. The Individual Education Plan is developed by the parents and teachers of the special education student and focuses on implementing strategies to facilitate academic and behavioral success. Written in the plan are accommodations and modifications to the learning environment that are helpful and in some cases necessary, for student success. For instance, some students need extended time when testing or completing assignments, the opportunity to take electronic notes or teacher written notes. 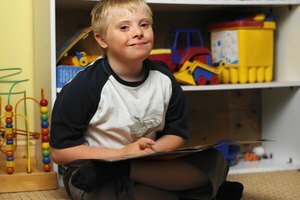 Some special education programs focus on teaching life skills so that the student may one day be self-sufficient. Fundamental to these programs are specialized units that teach personal hygiene, handling money, household operations and safety concepts. Additionally, these programs offer community business connections to help teach workplace skills such as being on time, following directions and interacting with co-workers. This is a tremendous benefit for the special education student who wants to hold a job. Special education teachers assist students with classwork and homework. These teachers help students organize notebooks and bring books and other materials to class, all in the name of facilitating student success. However, students may grow to rely on the special education teacher to do and remember things for them. The special education student may neglect responsibilities because they know that the teacher will assist them. The special educator's efforts to assist may actually hurt the student in the long run. In the special education environment, the educator is attempting to teach appropriate behavior and modify inappropriate, aggressive and offensive behavior. In the special educator's attempts to modify behavior, some tolerance is extended as it is part of a learning process. Sometimes the student may become accustomed to allowances made in the classroom and begin to view their behavior as excusable because of their disability. For instance, when learning to express anger appropriately, the student may be forgiven for an unacceptable outburst. Continued forgiveness may reinforce the negative behavior. Bradley, Katherine. "Strengths & Weaknesses of a Special Education Program." Synonym, https://classroom.synonym.com/strengths-weaknesses-special-education-program-11555.html. 26 September 2017.